Looking for an emissions place to trust? Look no further! We're quick, clean, and we don't look for repairs! We've been in the business for over 20 years and going strong! We are an On-The-Spot Registration Renewal Station. Pay your fees here and get your decal sticker with us! Does my car need Emissions? Content copyright . 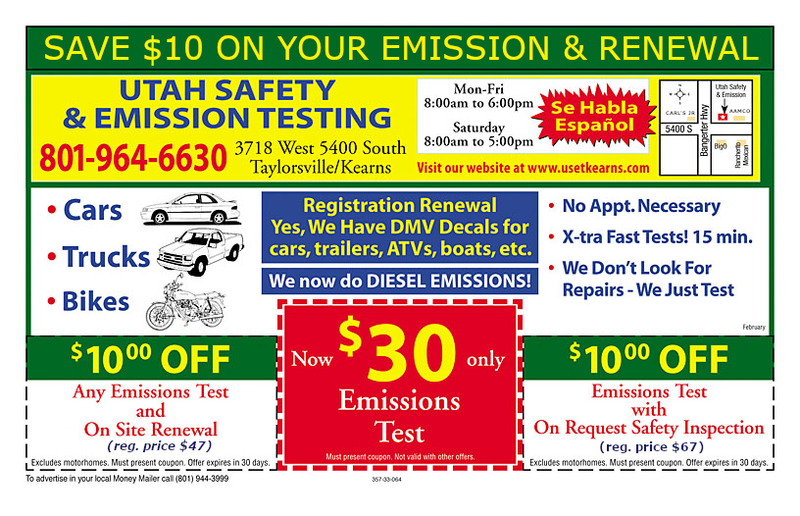 Utah Safety and Emissions Testing. All rights reserved.